Web form is an important element of online marketing campaigns. But most businesses fail to leverage this gem because of technical aspects involved. Converged CRMs allow you to easily build customized web forms and publish them on your website or landing page. 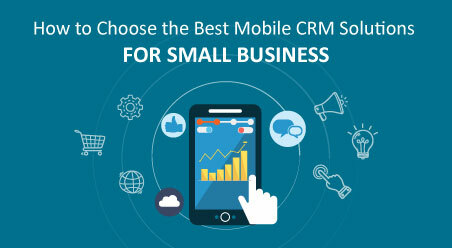 You can also share the web forms directly with your sales and marketing agents, partners or targeted leads. All captured leads get directly synced into the CRM with immediate notification sent to the assigned sales agent. This speeds up the follow-up process and improves conversion rate. Your leads are only as good as your campaigns. A well-planned campaign assures that you’ll bring in quality leads for your business. With all the data out there on the internet – it gets hard to choose which factors need to be considered for your digital marketing campaign. So how do you plan for a successful campaign? Web forms can set your campaign up for success. What are web forms you ask? Web forms allow users to enter data that is sent to a server for processing. They’re extremely useful in collecting contact information from leads and can be huge for digital marketing campaigns. Your business doesn’t have to be included in the 62% of businesses that don’t use web forms enough. If you’re looking to have a lead capturing machine, web forms are essential and transformative for your business. Web forms are unique in the way that they give you the ability to control the type of information you collect from your leads. But most businesses do not create web forms for fear of technical difficulties. For those that do, countless hours are wasted involving IT teams in designing the forms. Consequently, this makes it a highly complex and tedious process. ConvergeHub provides a tool through which you can build and design the web form you need, in a snap. Drag and drop the required fields in the form. By providing specified fields, you ensure that your leads give all the information you need. In addition to the conventional fields such as First Name, Last Name, Email and Address, use the ‘Document’ field if you want your leads to upload files into the forms. Change the font type of the fields’ names. Make them bold and italic, underline them or strike-through. Modify the alignment of the fields. Insert links, videos, images and more. You can edit field names and change the call-to-actions. Provide the URL of the web page to which the leads will be redirected, once the web form is submitted. You can add a description to the form and tailor a success message that will appear once the form has been successfully submitted. 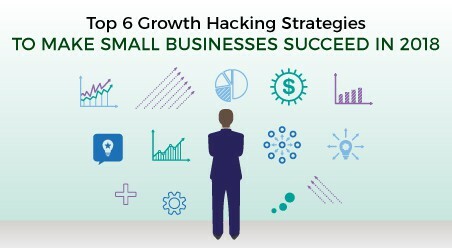 Measure the effectiveness of your marketing efforts. Use the Google Analytics code to track how many leads visited the web form and how many actually filled out the form. You can also see which websites referred the visitors to track the source of all incoming leads. Decide the following details of the leads beforehand – Salutation, Lead Source, Status, Industry, Type, and Country and so on. Target the audience based on this pre-defined criteria. The form’s code is available in two different formats – HTML source code and embed code. Use them to publish the web form on your website or landing page. You can also use the live URL to share the web form with your sales and marketing agents, partners or directly with the targeted leads. There are many web forms out there that capture leads. The real question is, do these leads sync with your CRM? Is there an automatic import? If the answer’s not yes then you may want to re-consider the web form you’re using. Web forms have been around for a long time now and perform the same functions. 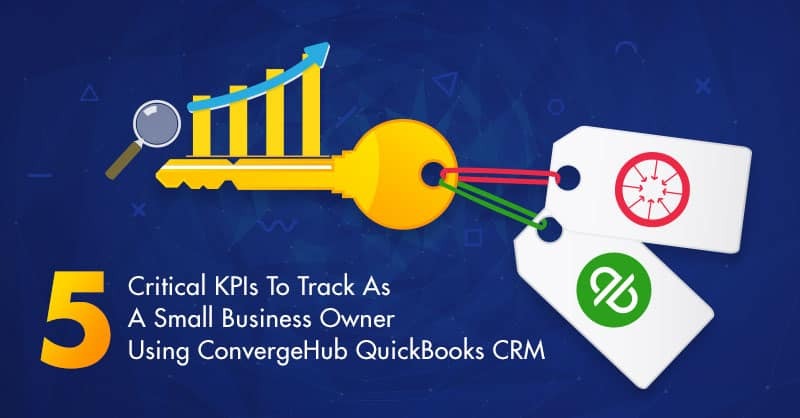 But with ConvergeHub, the critical difference is that you have the power to automate the import of leads from these forms directly into the CRM. As soon as your prospect fills and submits the web form, the information gets immediately captured in ConvergeHub in an organized fashion that allows you to nurture them later on. This makes ConvergeHub’s Web forms instrumental in quick lead generation. ConvergeHub offers both sample and customizable web forms. 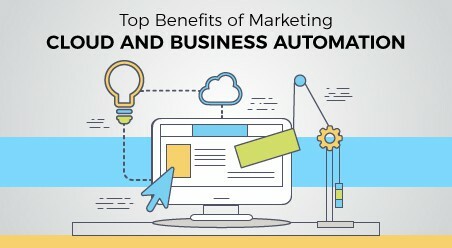 Use them and turn your digital marketing campaigns into lead generation machines. As these forms dramatically simplify the process of capturing lead information into your CRM system, they reduce the management and administrative burden on your team. The time-consuming task of data entry gets removed altogether as lead information does not have to be manually re-keyed into the CRM. There’s no need to be concerned about making errors in entering emails, phone numbers or contact names. Because of this data quality and accuracy are ensured. Manual lead assignment slows down the lead nurturing and qualification process. In 9 out of 10 occasions, by the time the lead gets assigned to sales and marketing agents, the opportunity of closing the deal is already lost. ConvergeHub brings a quick fix to this problem. It creates the ideal situation, where your leads automatically route to the correct sales agent without you having to touch a button. Well, while building the web form in ConvergeHub, you can select the sales agent for all the leads. This ensures that all captured marketing leads are assigned to the right sales representative quickly and efficiently with a powerful routing engine. As a best practice, the respective sales agent gets immediately notified about the captured marketing leads. You can also set-up an auto assignment and workflow rule in ConvergeHub to notify the lead that their details have been received and a sales person will be in touch shortly. Streamlined lead assignment processes help increase business productivity and decrease manual lead assignment. More time is available for you to focus on other important factors in your business. Sales agents know about new leads in real-time, empowering them to follow-up immediately and close deals faster. Customer experience improves due to the fast response times and better service. Once people have invested time in filling out your form, they look forward to your response. In such a situation, both speed and quality matters. You might respond to the lead within 30 minutes, but if it’s not up to the mark in terms of quality and relevance, it will fail to serve the purpose. To hit the bull’s eye, you need to frame a response – personalized to your lead’s requirements. And this cannot happen if your web forms and customer management applications are un-integrated. Converged CRMs enable quick lead-to-opportunity conversion by integrating web-to-lead forms within the platform. Not only does your sales team get leads instantly from the forms but they also gain access to detailed customer intelligence in real-time, for effective nurturing and qualification. 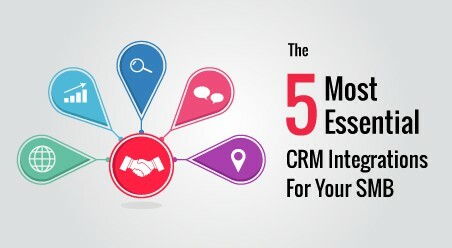 Having full-view of customer data in the CRM puts sales agents in an advantageous position to quickly deliver a personalized response that’s well thought out. This 1:1 approach over a period of time enables sales agents to win the trust and confidence of the prospects and close more deals. Web-to-lead forms are critical for successful lead generation and customer communication. 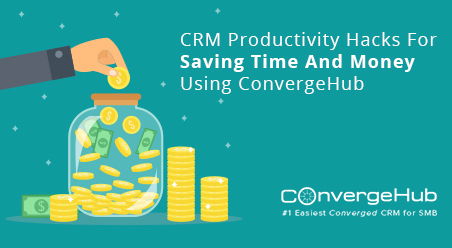 Converged CRMs simplify web-to-lead form creation, reduce administrative burden, remove data entry glitches, speed up lead generation, shorten the sales cycle and improve conversion. Not to mention, marketing initiatives get precisely analyzed and ROI of campaigns get accurately calculated — truly a win-win for small businesses! 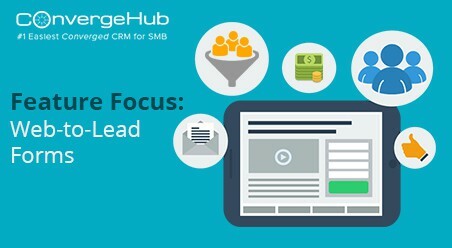 To see the web-to-lead form feature in action, sign-up for a free ConvergeHub trial. Comment below and let us know how you plan to use web forms in your business.